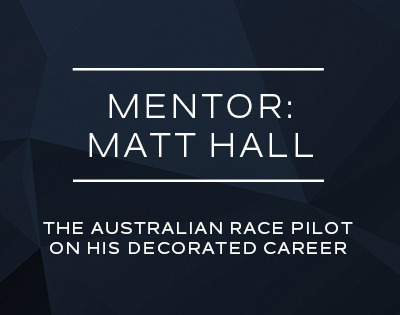 From leading a squadron of Fighter Pilots in the Iraq War to performing death-defying air manoeuvres as a Red Bull Air Race Pilot, Matt Hall can only be described as extraordinary. Most would be content to have retired Wing Commander in the RAAF on their resumé, this is not where the mission ends for the determined pilot as he continually pushes his limits. 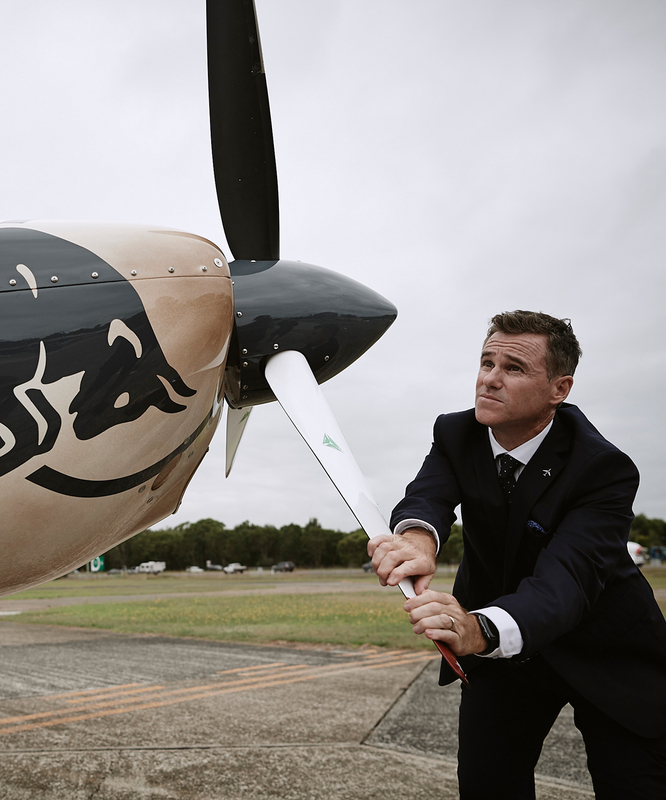 He’s now determined to become, the next Red Bull Air Race World Champion. 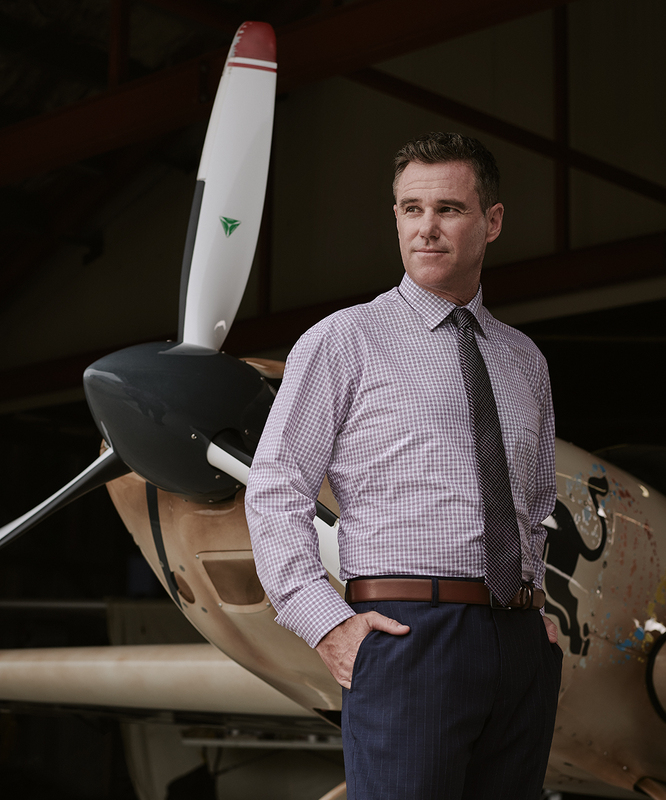 The third-generation pilot shares his journey and how his passion for aviation and regimented preparation have laid the foundations for his success. We hear that flying is in your blood, with both your father and grandfather being pilots, is this what kick-started your passion? As early as I can remember, I’ve known I wanted to be a pilot. I started flying with my dad when I was knee-high, my dad flew as a teenager and he was motivated by his dad. It’s absolutely in my blood, I planned on being a pilot my entire life. What was it like the first time you were in charge in a cockpit? I did my first solo flight in an aircraft at the age of 15 and I distinctly remember thinking that every single human being should get to experience that feeling. It’s like nothing else. 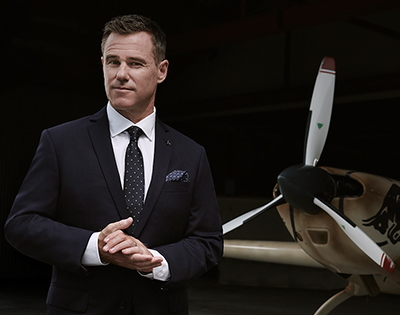 What inspired you to enlist in the Royal Australian Air Force? To be honest, my decision to join the Air Force was first based around the fantastic aircraft that you get to fly, but once I was in the Air Force I realised that it was much more than just flying planes. It’s a lifestyle, it’s a culture, it’s the comradery, it’s representing your country and it’s something I’ll be proud of for the rest of my life. As an instructor, what do you think it takes to be a good fighter pilot? You must be able to focus very clearly in very short periods of time and get the absolute most out of an event. That can be a 5 second period shooting the gun, shooting a missile or defending against a missile being shot at you. It’s all about being able to prioritise and concentrate. There’s a saying with fighter pilots... Prior preparation and planning. You’ve got to have a plan for everything that can and might happen, but you’ve also got to be very quick at reacting to things. It’s a matter of being able to employ pre-planned ideas and thoughts into a situation that you’re in right now. What is the best advice you’ve been given during your career? Since becoming a professional pilot the best advice I’ve had is always assume that there’s a better pilot than you within earshot. Never walk around thinking you’re the best pilot out there, never walk around telling everyone how good you are because you’ll surely find there’ll be someone listening to you, shaking their head. How important do you think it is to have a mentor? It’s always important to have a mentor, someone to look up to and learn from. I think it stops you from being arrogant… I’ve been a mentor to people and it’s humbling because it means that you’ve got to focus on being the best you can to lead someone to be the best they can. And what advice would you give someone who wants to follow in your footsteps? Whenever I’m talking to younger people about career, I always encourage them to not be scared at having a go. Anyone can do what I’ve done as long as you’re prepared to have a crack at it and not be scared of failure. If you’re scared of failure you won’t commit to something that is just out of reach and if it’s just out of reach you can work hard and you can get there. 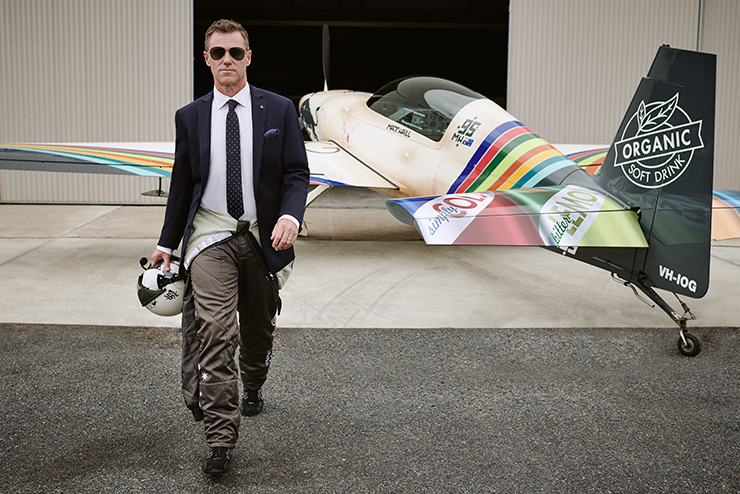 What made you decide to transition from the armed forces to air racing? I spent 18 years in the military and it went in a heartbeat, I loved every single moment, but I was at a point in my career where it was either stay for the rest of my working life in that career or change direction and try something new. 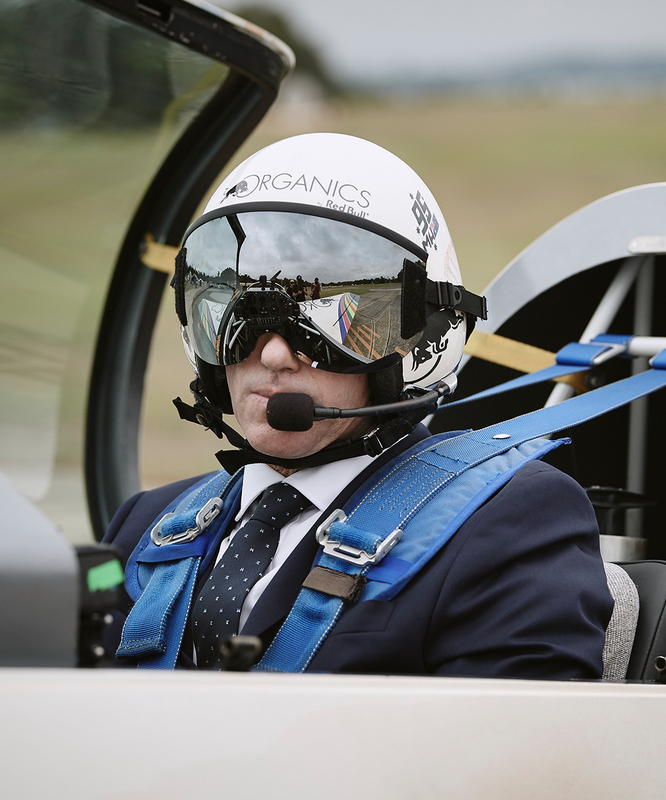 I was at that cross section of my life when the Red Bull Air Race came along, and I thought if ever I was going to challenge myself this is it. The Red Bull air race has similar attributes to how I performed in the military. Its flying aircrafts at their limits, in a high-pressure environment, sometimes in combat your life is on the line. In air racing you’ve got a lot of pressure to compete. It’s all about being very disciplined in your preparation. From physical and mental preparations to planning the track, making sure the team is on top of things, all the way through to the point of execution where you remove all distractions and focus very clearly. Do you ever have a moment of self-doubt when competing? Every competitor has had self-doubt enter their mind and what that does is reduces your performance, no doubt about it. The key to being a professional athlete and consistently your best is mind control and not allowing self-doubt to enter as you execute your actions. That’s all about routine and good mental processes to make sure that you recognise any self-doubt starting to enter and you have methods in place that intercept the self-doubt and reverse it. Prove the doubt that you’re better than it thinks you are. 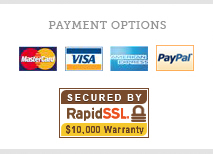 And how important is confidence in this process? I learned about the importance of confidence when I was training in the Air Force and I realised that if I walked around with good posture and with a smile on my face, when I tackled the day and had good results. I include this in my flying regime. I made sure that when I was training, when I was being assessed, I had a smile on my face and reached forward and tackled every problem. That led to some pretty good results in the Air Force. I’ve continued that through everything I’ve done in my life, I make sure that if I’m presented a challenge I don’t shy away from it. I say this is going to be an adventure, it’s going to be great, let’s go! You were in the first fleet of fighter pilots deployed to fight in the Iraq War, what was this experience like? Military people don’t want to go to war, we don’t want a war to start so that we can fight in it. But if there is a conflict that our country is involved in every single member of the Air Force will have their hand up and saying “I want to go” because that’s my job. And that’s how it was for me, the coalition was forming for Iraqi freedom in 2003 and I had my hand up high. I was selected to enter into the Middle East with my Fighter Squadron and conduct combat operations. It wasn’t because I wanted to get in there and maim and destroy, it was because that was my job and that’s the reason. I wear an Australian flag on my shoulder to represent my country, when it asks for my service I stand up and deliver. Being a leader, what qualities do you think make a good leader? In the military I was raised by what I would consider great leaders. I then became a leader myself both within the military as a Wing Commander and in my own company which I run. What I’ve learnt from good leadership is being able to listen to everybody on the team, make everybody on the team feel valuable and worthwhile. Also make decisions fairly and very cleanly so there’s no doubt about what your decision is and why that is your decision. In the military one of my mentors was a guy called Mel Hupfeld and even though I’m no longer in the military, he’s still a mentor of mine. We don’t catch up that regularly, but a mentor isn’t someone you need to catch up with all the time, you just need to think, “what would they do in this situation” and it guides you. Once I started racing I also discovered another mentor Nigel Lamb another race pilot who has also since retired from the air race and I catch up with him a few times a year. What drives you to excel? Everyone needs some form of motivation, a reason to get out of bed in the morning and my motivation is trying to be as good as I can be. I’m not sure why that’s so but maybe it was the way I was raised or it’s a part of my DNA. I just know that if I finish a day thinking I left a stone unturned I don’t feel satisfied that I’ve got the most out of my day. And if you’re not getting the most out of your day you’re not getting the most out of your life. You’ve experienced loss throughout your career in the RAAF, how did you recover from this? I’ve had a lot of close friends pass away in aviation and every time it happens it feels like it’s worse than the last time. You feel like you’ll never smile again, you’ll never laugh again. But you realise that people pass away, it’s a part of life. You have to make sure you keep the good memories, file the bad memories away and move forward. In the hard times, what keeps you motivated to push forward? Sometimes you have a bad day, everyone in the world has a bad day. The key is to make sure you look at life in the big picture, in the marathon view. Everyone should have a dream and a dream should seem unachievable but it’s where you want to be in a certain period, if you have a bad day you must make sure that that doesn’t stop you from achieving your dream. It’s just one bad day. Shrug your shoulders, shake it off and fight back tomorrow. On a lighter note…Be honest, how many times do you get a “Top Gun” reference? Top Gun? Never heard of it… Let’s just say there’s a lot of times that there’s been a slow-mo film of me walking with Top Gun music playing in the background. Do you have a favourite air manoeuvre? My favourite thing to do in an aircraft really depends on the aircraft and the mood I’m in. If I’m racing planes my favourite manoeuvre is really hugging up against the pile-on at maximum G, meaning that I’m getting everything out of the aircraft with nothing to spare. If I’m in a hand glider my favourite move is a graceful wingover and coming back onto the hill. If I’m in a helicopter favourite manoeuvre is snuggling in nice and tight into a confined area to pick someone up. I love all aspects of flying, I can have a favourite manoeuvre any day of the week in any aircraft I’m in. What’s your call sign? Do you have a quirky nick name like Goose? In the RAAF we’re pretty creative with our call signs for each other, mine was… Matty! How important is it to be able to move comfortably in a suit? I’m a dynamic person, I’m flying planes and when I’m not racing planes I’m out there doing a lot of movement, giving a lot of talks on stage and when I’m doing that I’m moving my hands around because what I’m talking about is exciting stuff. If I can’t move, I feel stifled in my own personality so having something that I can really move around in is extremely important to me to maintain who I am. The suit is a part of me when I’m on stage presenting. What is your go-to look when you’re at the pulpit for a speaking engagement? I’m still a retired senior military officer so I look for the clean-cut, narrow silhouettes to represent who I am internally. That’s important to me and that’s what these suits give me. You’re an extremely busy man, how do you balance work and family life? To be honest, work and life balance is something I’m always working on. It’s important, there’s no point working and developing an amazing company if your family leaves you or you miss the growth of your children. It’s very easy to get immersed in your work but the balance is something that everyone has to work on, Luckily, I have an amazing family that’s always reminding me of the importance of this balance in a loving way.